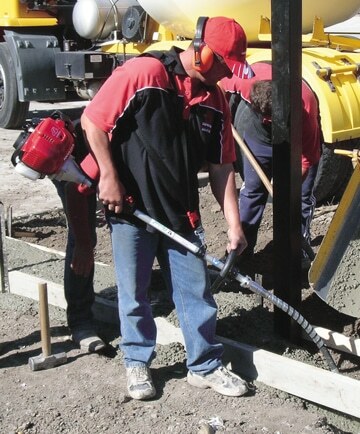 Product description: A Portavibe® is a powered device used to remove entrapped pockets of air from freshly-poured concrete. These lightweight and compact vibrators make work onsite more effortless. A 44mm Portavibe® will do many jobs that could only be done by larger drive units and shafts in the past. Ideal for footings, stairways and foot paths.